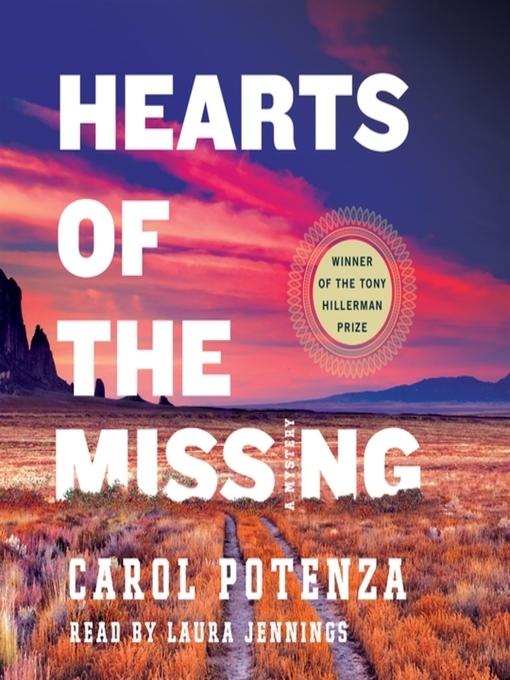 Beautifully written with a riveting plot and a richly drawn, diverse cast of characters, Hearts of the Missing is the mesmerizing debut audiobook from 2017 Tony Hillerman Prize recipient Carol Potenza. When a young woman linked to a list of missing Fire-Sky tribal members commits suicide, Pueblo Police Sergeant Nicky Matthews is assigned to the case. As the investigation unfolds, she uncovers a threat that strikes at the very heart of what it means to be a Fire-Sky Native: victims chosen and murdered because of their genetic makeup. But these deaths are not just about a life taken. In a vengeful twist, the killer ensures the spirits of those targeted will wander forever, lost to their family, their People, and their ancestors. When those closest to Nicky are put in jeopardy, she must be willing to sacrifice everything—her career, her life, even her soul—to save the people she is sworn to protect.